One-day Single Crystal and Powder Diffraction Software Workshop, ECM 21: International Conference Centre, Durban, South Africa, Sunday 24th August 2003. Powder diffraction presenters (left to right): Armel Le Bail; Martin Attfield; Brian O'Connor; Robin Shirley; Lachlan Cranswick (session chair); Juan Rodriguez-Carvajal; Jon Wright; Vincent Favre-Nicolin. 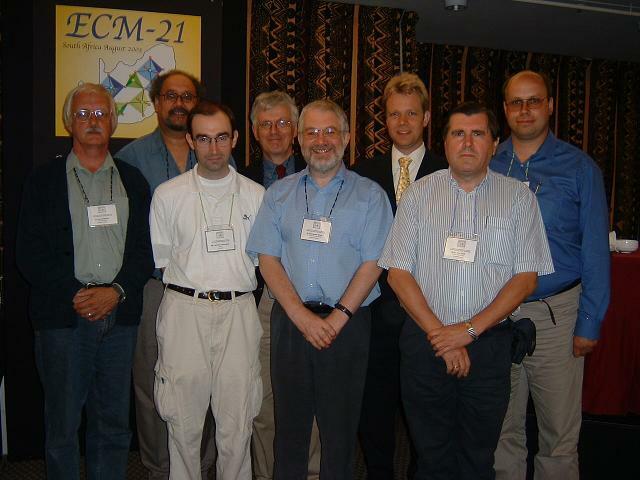 One-day Single Crystal and Powder Diffraction Software Workshop, ECM 21: International Conference Centre, Durban, South Africa, Sunday 24th August 2003. 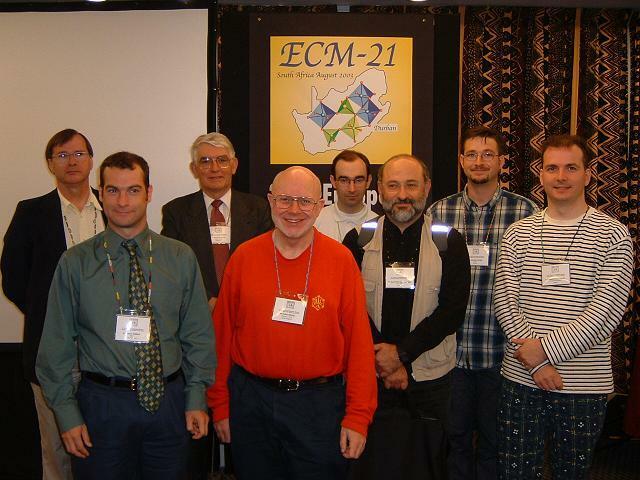 Single crystal presenters (left to right): David Watkin; Louis Farrugia; Lachlan Cranswick (session chair); Bob Gould; Alexander Blake; Rob Hooft; Anthony Spek; Martin Lutz.